From the Leaning Tower of Pisa to Michelangelo’s David in Florence, Tuscany has drawn visitors from all over the world. They come to explore ancient villages and the flagship Salvatore Ferragamo store. Some visitors stay in bucolic splendor, far away from the bustle of cities, while others wouldn’t trade the opportunity to stay in the midst of urban traffic for anything. No matter what sort of holiday the visitor imagines, a stay at a luxury villa can be the best way to experience the region. 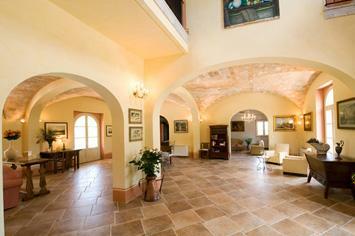 Villas can be rented throughout the Tuscan countryside or in the midst of Florence’s winding streets. Either way, they are the ideal way for the independent traveler to make the most of their stay. 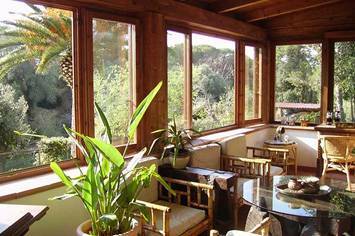 Staying at a Tuscan holiday villa offers the traveler several advantages when compared with a hotel. A villa is a great deal like a home away from home, where vacationers enjoy many of the same conveniences of home without the attendant responsibilities. The renter is not surrounded by other vacationing strangers with whom they may not want to interact. Instead, a vacation villa grants a privacy that is rare during travel. During the rental term, the vacationer enjoys all of the amenities offered by the villa without having to compete with other guests. 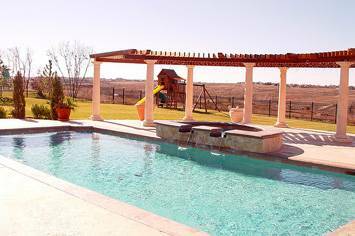 Many villas feature resort quality amenities like swimming pools and spas. Additionally, some are equipped with flat screen televisions, a collection of DVDs and video gaming systems for vacationers who dislike being separated from technology. Villas of varying sizes are available, with some being an appropriate setting for a couple on a romantic holiday while others are equipped to cater to the needs of a large group. In fact, a luxury villa rental just might be the ideal accommodation for either type of vacationer. With a villa stay, the romantic couple isn’t bothered by outsiders, while the large group can stay conveniently in one location while still maintaining privacy. When considering a rental villa, one of the most important considerations is location. Staying in a city often puts major attractions within easy walking distance, obviating the need to rent a car. This urban location also lets vacationers completely immerse themselves in the city’s culture as they live much like a native might. Some vacationers will choose a suburban villa instead. This grants closeness to the city and the country, while giving the renters a more peaceful place to sleep at night. 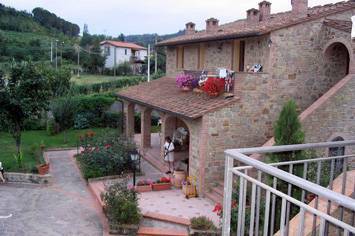 Many visitors to Tuscany choose to rent a villa in the countryside, with the house resting at the top of a hill, nestled in a grove of olive trees. No other accommodation is quite so authentically Tuscan. Aside from location, prospective villa renters should also consider the number of bedrooms and bathrooms available. This isn’t a difficult consideration for the honeymooning couple, but anyone traveling in a larger group should carefully review how many bedrooms and bathrooms will make everyone feel comfortable. This is particularly important on stays longer than a week when everyone might eventually begin to wish for additional privacy if a smaller property has been rented. One of the nicest amenities in any villa is the kitchen. Some villas provide an efficient kitchenette, while others have impressive gourmet style kitchens. Anyone who plans to cook during their Tuscan odyssey should carefully review the kitchen facilities to ensure they are adequate before booking. Cooking can be one of the most pleasurable pursuits available in the Tuscan countryside. It’s so easy to imagine shopping for ingredients at a colorful local market in the morning to produce a mouthwatering supper at night. These meals often prove to be among the most memorable components of the trip. Tuscany is a magical destination filled with ancient culture and amazing sights. It’s easier to enjoy them all from a comfortable and well situated home base. A luxury rental villa can provide many of the amenities available at a fine resort, but without intrusive neighbors. Additionally, many villa rentals are more affordable on a per night basis when compared with hotels, making them a financially sensible choice.